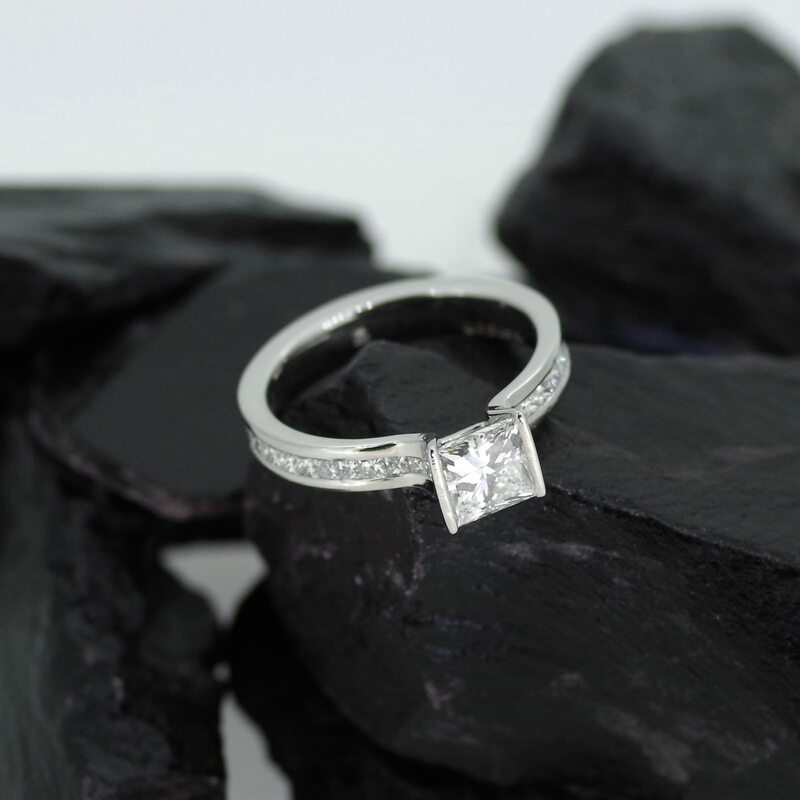 An engagement ring is often the first piece of significant and precious jewellery you buy or receive to symbolise your love and commitment as a couple, and something you will wear and hold dear for the rest of your life. Our custom, hand-crafted designs reflect the unique and individual tastes of each customer. Our Dot the Jewellers Commission Card service lets you give a gift of bespoke jewellery while allowing the recipient to contribute to the design of the piece. This can be a good way of proposing! 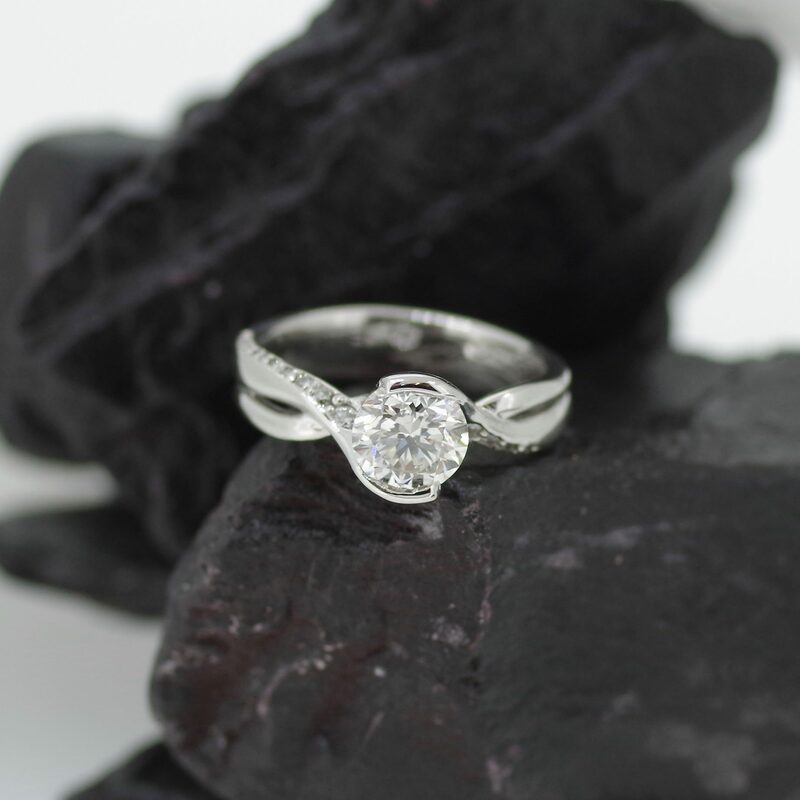 Whether you want to design a ring as a surprise or together as a couple, the commissioning process is the same. We make individual pieces by hand, one at a time, and you are involved at every stage. 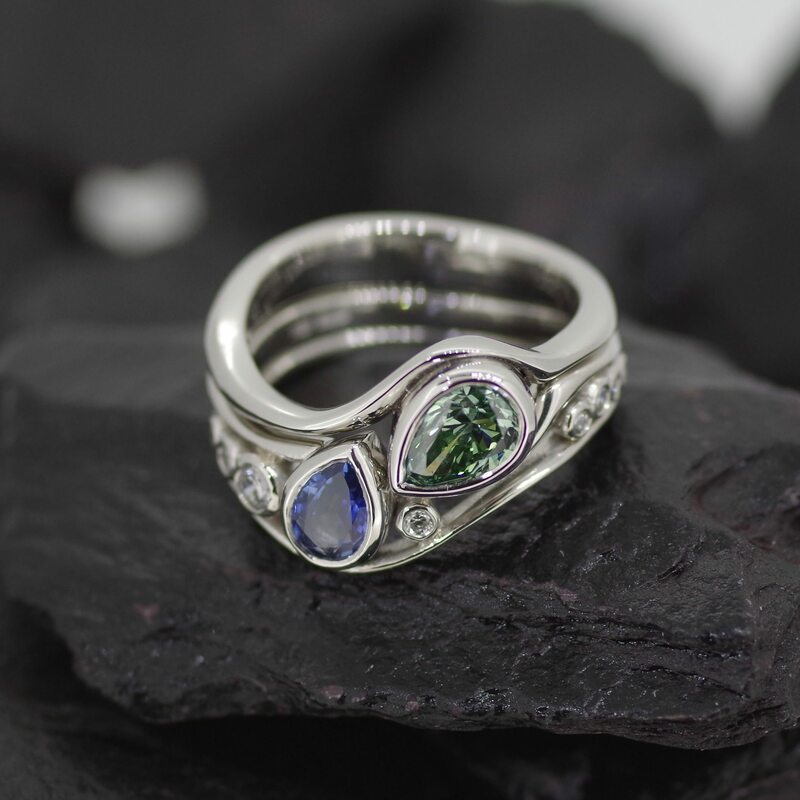 We will invite you to meet with us in our workshop in the beautiful world heritage site of Saltaire, Yorkshire, to discuss your preferences, including precious metals and gemstones. 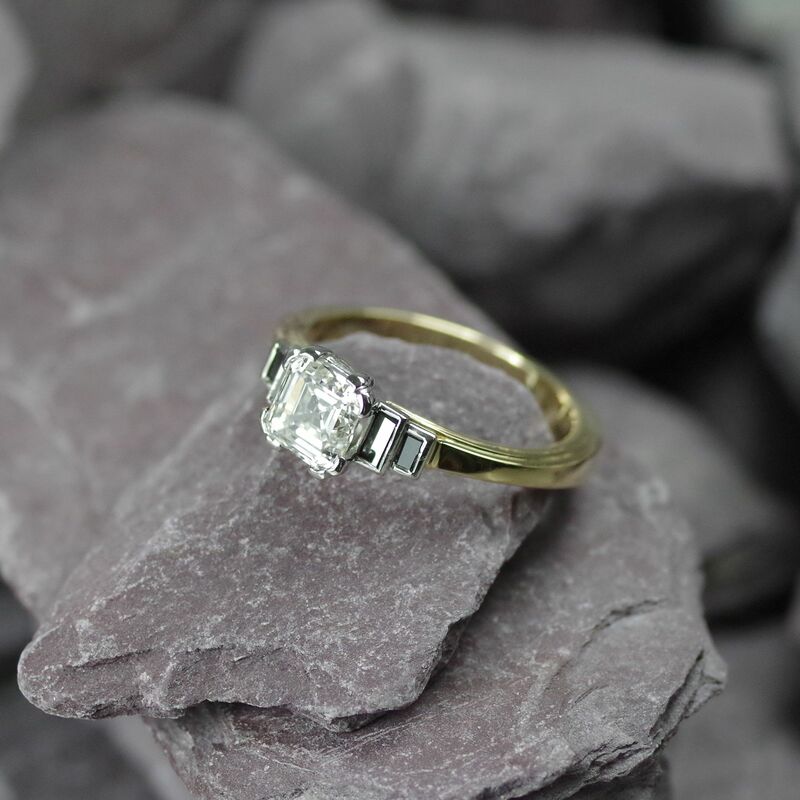 This combined with our inspiration and know-how will result in jewellery that both fits you or your partner comfortably and perfectly suits your particular style. 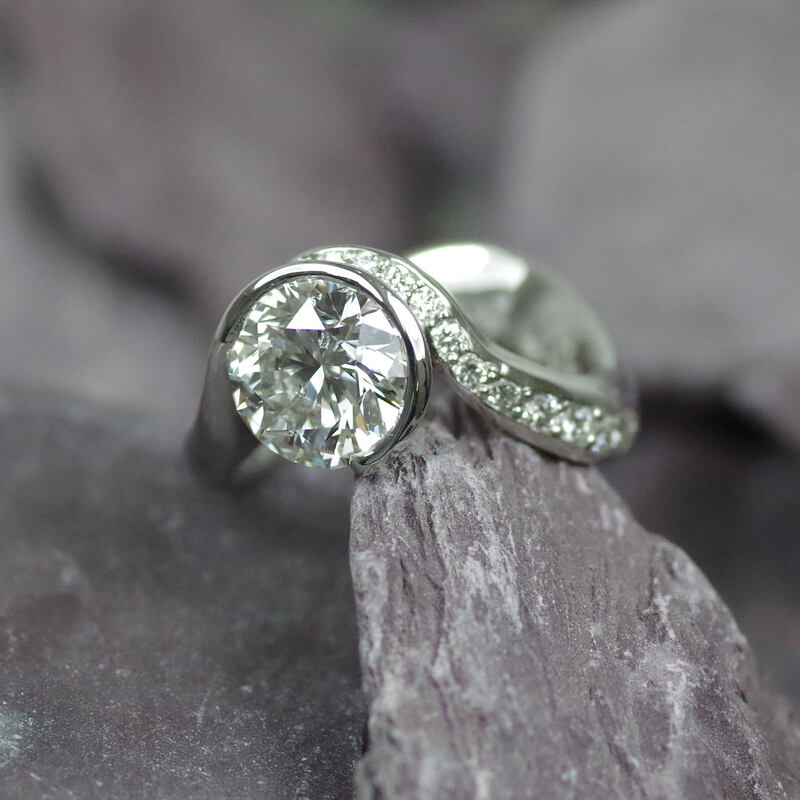 Our general rule with engagement rings is: ‘anything goes’! 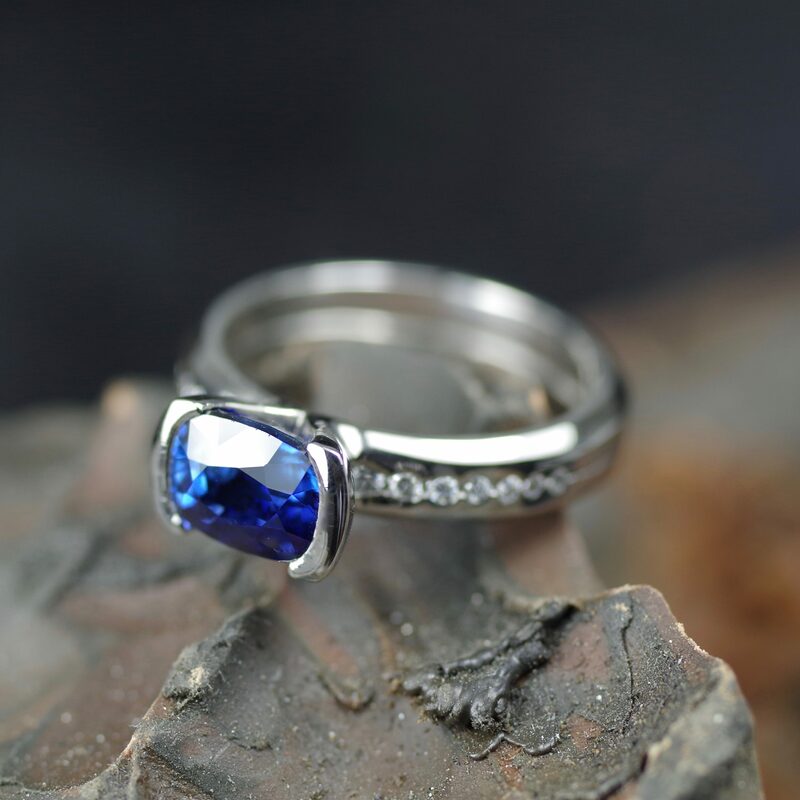 There is no rule to say that all engagement rings must have a single gemstone centrally placed on a small band. We can also show you how a wedding ring design will look like to give you an idea of the complete set design. 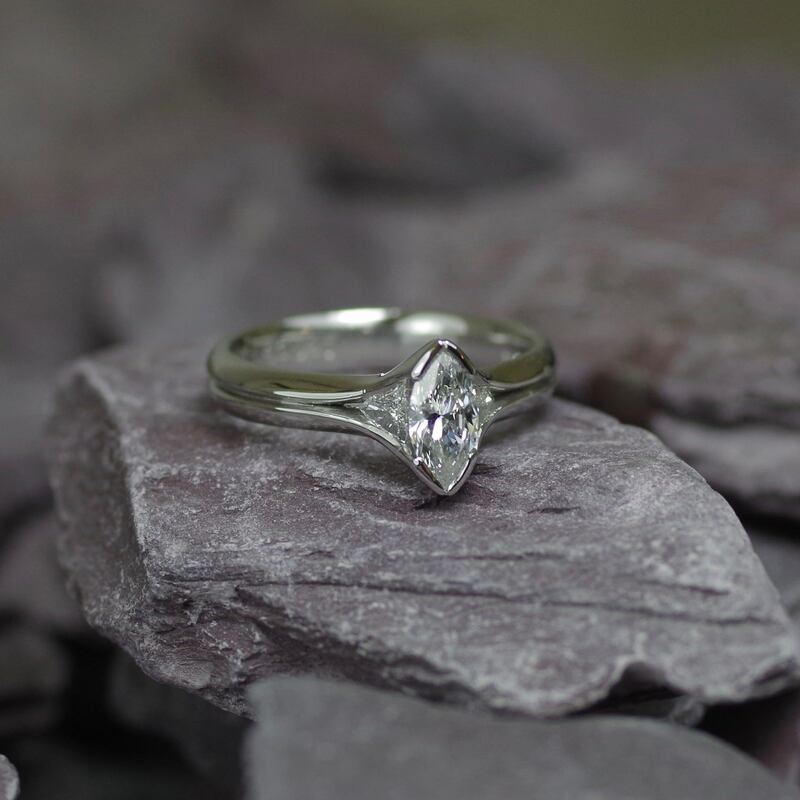 Over the years we have created an array of beautiful bespoke engagement rings as you can see in our gallery below, with Platinum, Gold and Palladium, and precious gems including diamonds, sapphires and rubies. 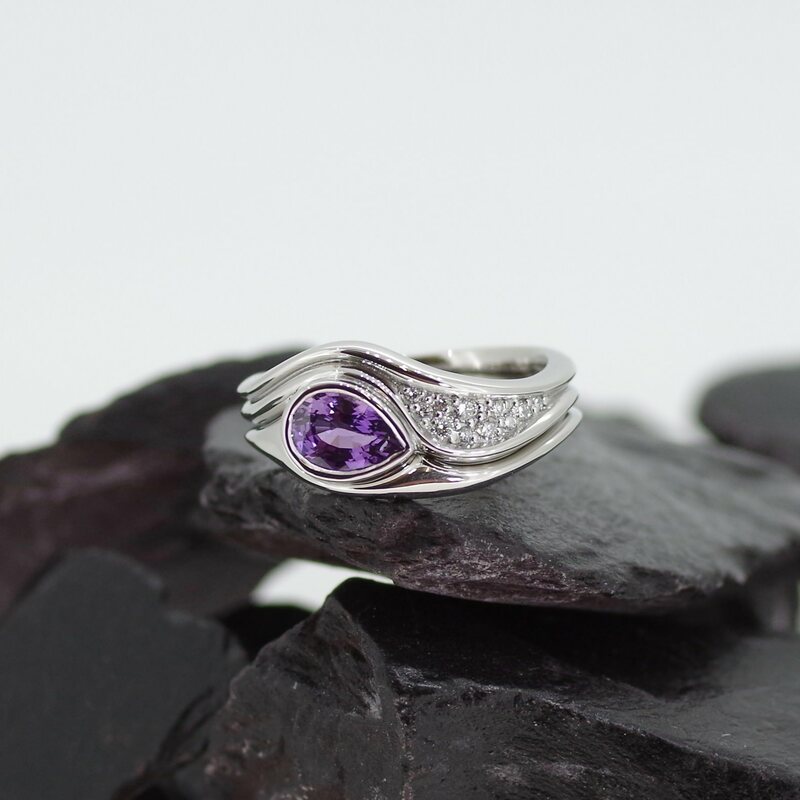 We have a variety of popular design styles such as our Dot ring, Spirala ring and Mirror rings. If you would like to find out more about how we can help you, or have any questions, drop us a line or give us a call and we can arrange a time for you to come in for a chat.